Desperately Seeking Adventure: Teaching English: Beijing's Calling! Restarting my teaching in China has panned out very differently than I had originally thought it would do, but second time around in Beijing it has given me lots to reflect on during my first six months. From my nursery class introduction to saying goodbye to my weekends, being full of twists, turns and magical moments to boot! For real, Montessori has become my life! Coming back to China didn't take a lot of thought, after getting my papers and passport in check I touched down back onto Chinese soil, ready for my third stint of teaching English in China. Beijing had to be the one, Wuhan gave me the tools to move forwards and I was ready to deal with pretty much anything that was going to be thrown at me! 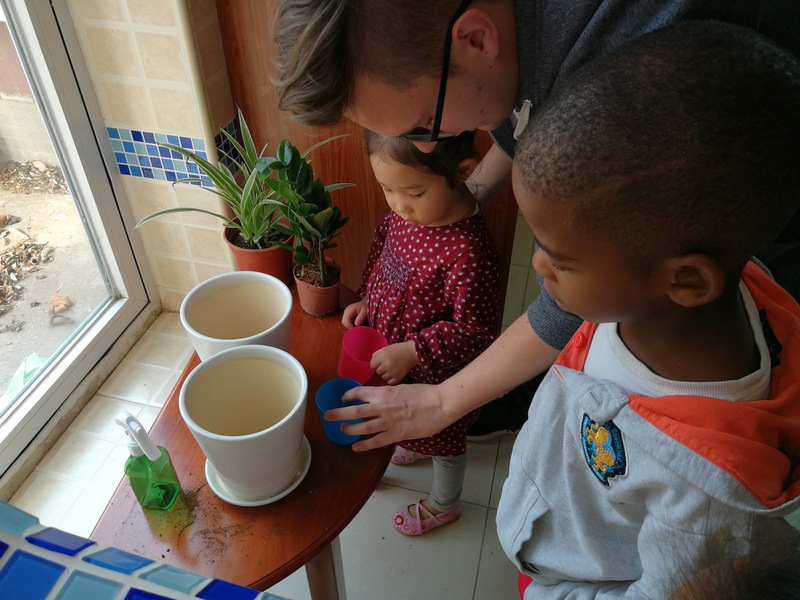 I had previous experience teaching Nursery children before in Wuhan, so being placed in another Nursery class didn't faze me but I had become more used to teaching 3-6 year old learners. Not saying no to this new opportunity in Beijing I wasn't about to rock any boat, I hadn't come to Beijing to play! I was ready for the possibility of joining the AMS Montessori teaching training course as part of the company's Montessori training contingent. With the most suitable credentials in my campus I was given the opportunity to apply. So, things around me were changing. Breaking into 2018 I continued with my Nursery teaching, getting through the month of January was fine but if truth be told there were moments that questioned what was going on around me, doing what I needed to do I got on with the game. 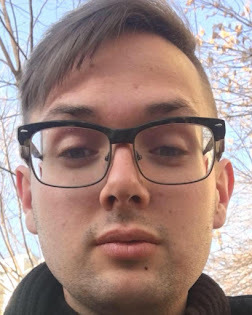 A big change was on the horizon, I found myself on the Montessori course with a schedule that was questionable to say the very least, keeping it 100 I questioned that situation. Wuhan had taught be to be on my game, vigilant of what developments that could wing my way with a clap back prepared to use at any time. Transitioning from Nursery to Casa was something I was open to doing, the older children had the capability to produce more language and that excited me. Being in the classroom all day was a step up from Wuhan, things had more of a professional feel this time. I went along with the changing times, it was all meant to be happening, I knew the river would flow into an ocean of possibilities! Of course the crazy continued! Oh, China! Did I want to be a Lead Teacher? A part of me was stunned when I was given that opportunity only three months into my Beijing teaching journey, the other part of me felt like I had something to prove what I had seen previously. Equipping a brand new class wasn't something I had done before, but with the help of the academic leader, things started to make sense. Combining children from my previous class with existing Casa children was a task, those children didn't have the best foundation in Montessori or other things but I remained optimistic to give the class the best start I could. As well as trying my hand as a Lead Teacher I was teaching one extra lunch time class for the staff and a select few parents, at the beginning I was running off pure adrenaline and the initial buzz kept me going, that was before my Montessori training commenced at the weekends. Beijing wanted to turn the pressure up, I was so ready! The first two months of my lead teacher days went by very quick, the days went quick but they left me feeling exhausted. Putting the sheer exhaustion behind me for one moment I have to say the curriculum that I created for the first two months pleased the kids and the parents alike. 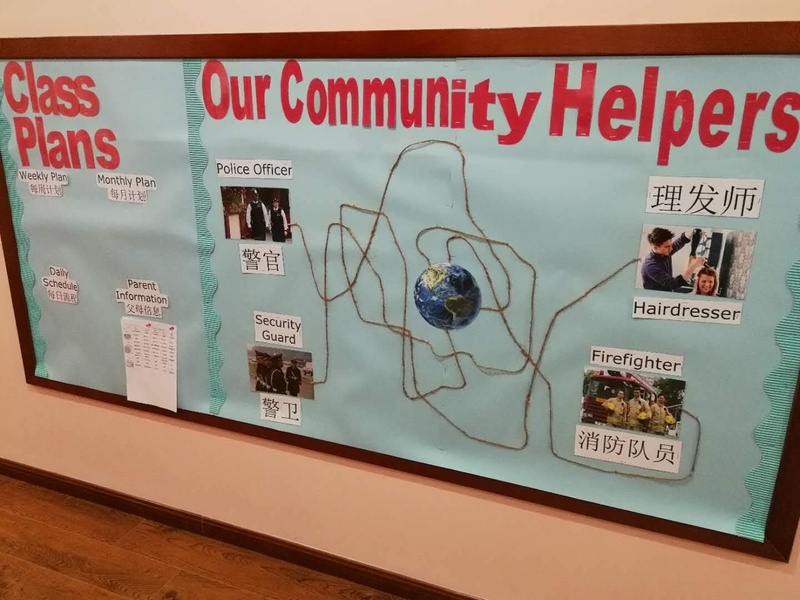 Choosing a community theme for March 2018 we looked at the immediate community that the school was located in, looking at the different amenities and how they helped the children that called that environment their home. 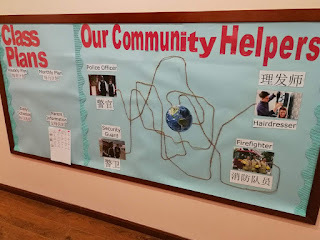 April 2018 was all about fire safety, looking at what things were hot and cold, how the children should call the fire service using English and I even created my own audio program for the win! As May came around it was getting too much to create new concepts and put them into a plan because I had a lot going on around me, I went back to the company provided lesson plans. Leading and teaching English was something but training for my Montessori was just nonstop! 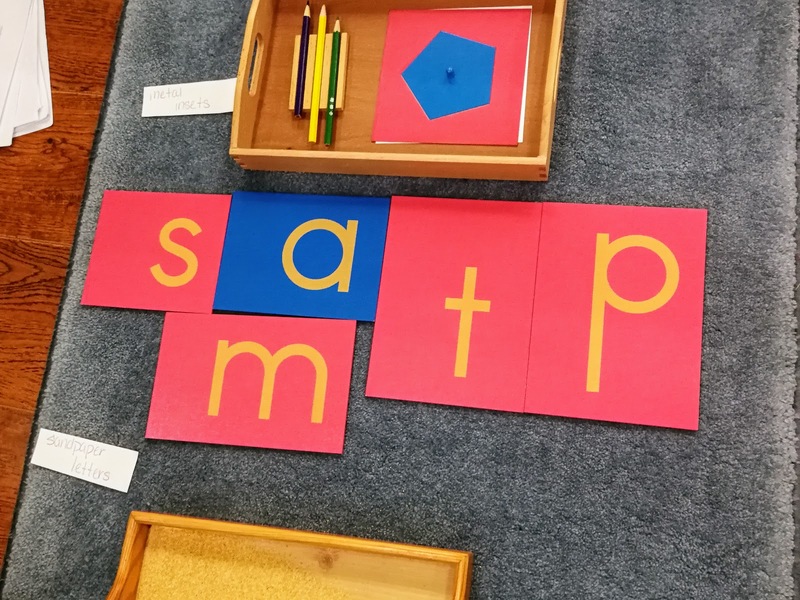 Picking it up, I knew my training would be beneficial in the long-run, in the here and now its so liberating to know more about Montessori and to be able to give presentations to children in the classroom with my growing confidence and knowledge. Having my mental clarity day during the week, I had time to get my other lead teacher bits and pieces finished, the experience so far has been valuable. From Practical Life to Language, I definitely loved Sensorial during the weekend training period. My weekends have taken a backseat but I know they will make an appearance soon, well they do every now and then, those long weekends help when a National Holiday rolls around. Being a lead teacher during this period has allowed me to have a certain autonomy during the Montessori work period but at the beginning I can't lie it was a lot of pressure to give those presentations when I barely knew left from right! Things have been hectic but an eye-opening experience its been for certain, nothing lasts forever and I truly believe this current flow wasn't going to be for the long-term. I have secured a transfer to another campus once my summer training concludes to focus on my English teaching duties and to hone my Montessori skills, the blessed and crazy moments experienced during my lead teaching days have all been character building, one thing for certain I won't be judging others in the leading role because it's certainly a tough act to maintain! An exceptional circumstance or not, I have given my all and intend to until I break for my summer training period before transitioning to my new English teaching environment. The road we take shouldn't be smooth, the road I am on hasn't been, I'm thankful because its all about appreciating the good and learning from the extraordinary! I'm hopeful the next step within my new teaching space will help my training come to life B!